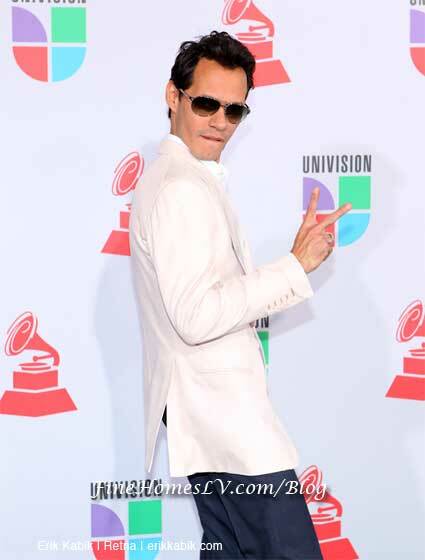 Celebrity Jennifer Lopez and husband Marc Anthony attend Latin Grammy Awards 2010 event at Mandalay Bay Resort Events Center Las Vegas Thursday, November, 11, 2010. J-Lo walked the red carpet in her hip hugging, low cut, floor length sparkly dress. The couple is just a few of the celebrities that attended the Latin Grammys. Marc wore a light colored jacket and posed for the photographers. The two were very happy for the evening festivities. Bill Cody is an entertainment and luxury travel reporter in Las Vegas. He reports on celebrities, events, luxury travel, food and all things Las Vegas. Visit VegasBill on twitter.